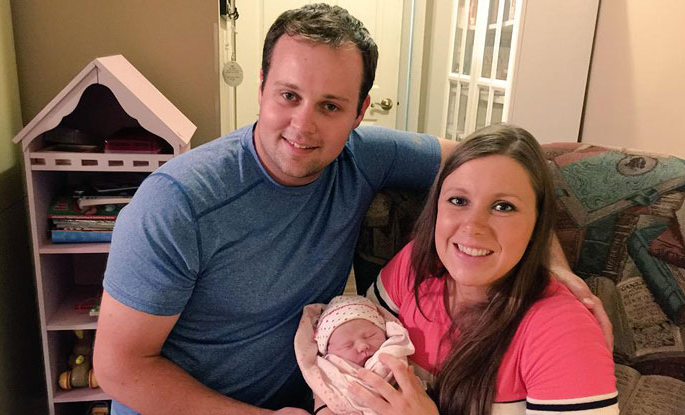 Disgraced reality star Josh Duggar welcomes baby daughter with wife Anna. Amid a molestation scandal involving his sisters, former Kids and Counting star Josh Duggar just announced that he and his wife Anna had welcomed a fourth child -- a baby girl. 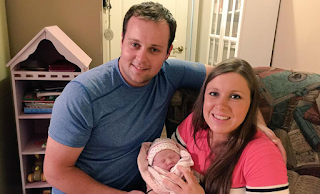 The disgraced reality star tweeted the news like things have never been better with the fam, posting a photo and writing, "Announcing the arrival of Meredith Grace Duggar! 7lbs 14 ozs, 20-1/2in -- Anna and Meredith are resting & doing well!" Umm ... congrats? It's a sweet snap but we can't help but cringe knowing what we know about Josh. Back in May, news broke that a then-teenaged Josh had "inappropriately touched" five young girls, four of which were his younger sisters. Last week, TLC finally yanked the show, canceling 19 Kids and Counting on Thursday. she betta take that kid and run cuz this perv gonna molest her too!